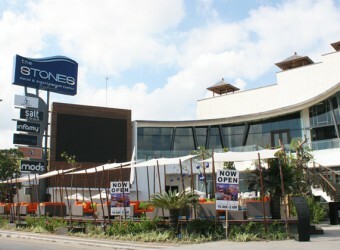 Bali Restaurant The Stones is hotel and entertainment spot that you can enjoy stay, eat and shopping. There are Restaurant Salt, Private Dining Cameron Sweet and Lounge & Bar Infamy, and guests can enjoy eating and drinking. Senset time is best to spend there with great view of Kuta Beach. Live music is also offered at night.